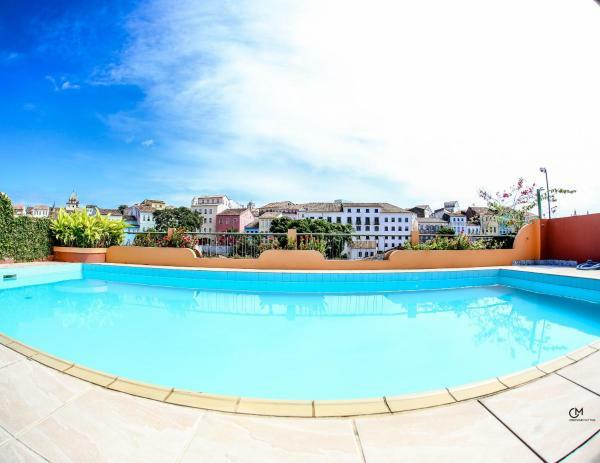 Situated in Salvador, within walking distance from Pelourinho, Hotel Pousada da Mangueira features an outdoor pool and beautiful gardens. Guests can enjoy the on-site bar that offers views of the traditional colonial buildings from the neighborhood. Hotel Deville Prime Salvador sits in a scenic landscaped park filled with lakes and rare birds. It features a business centre, as well as 2 bars, 2 restaurants and a tennis court. 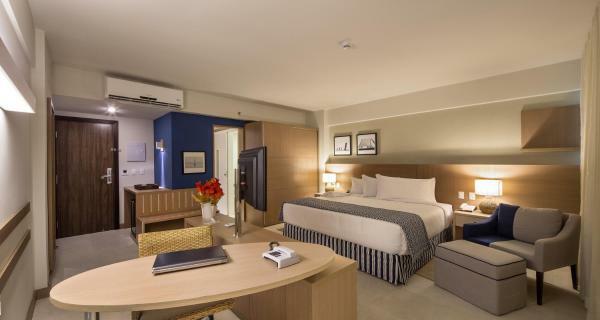 Rooms feature air conditioning, LCD cable TV and balconies. 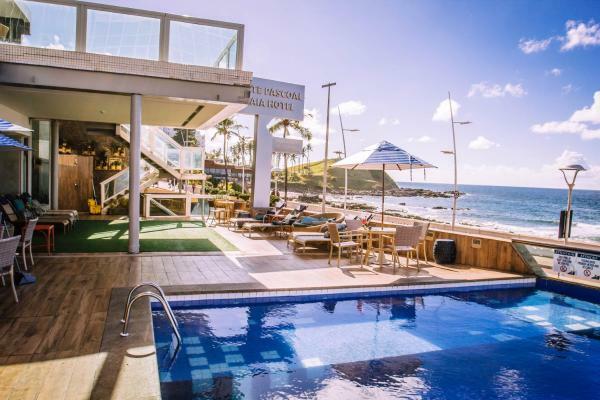 The Monte Pascoal Praia Hotel Salvador is located on the seafront of the famous Farol da Barra Beach, which you can admire from the balcony of your room and from the swimming pool. 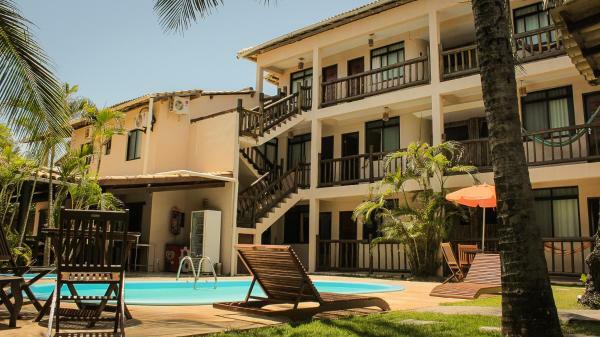 This rustic beach hotel in Salvador is 100 metres from Stella Maris beach and 4 km from the renowned Flamengo Beach. It offers a swimming pool and flowering gardens with hammocks. 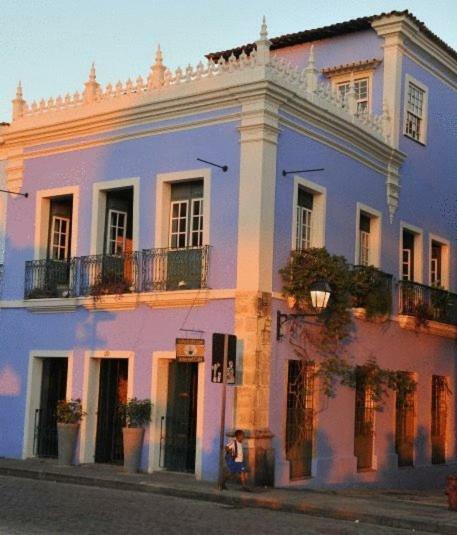 This 19th century colonial mansion is located in Pelourinho, facing Baía de Todos os Santos Bay. It offers luxurious accommodation with balcony, a rooftop swimming pool, a panoramic terrace and free Wi-Fi internet. 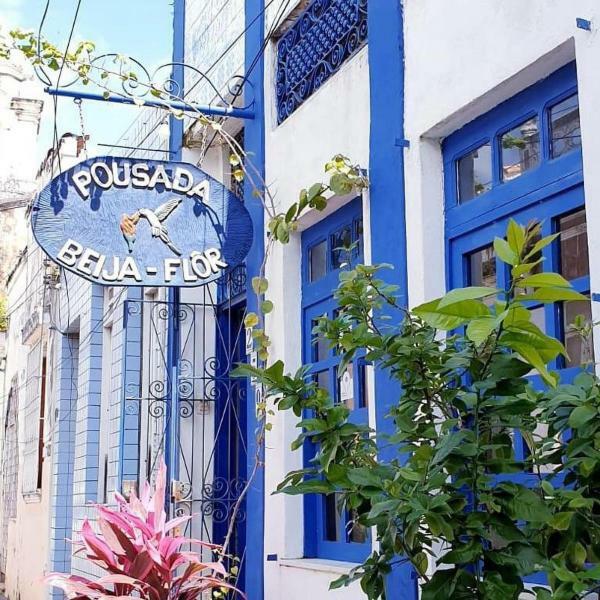 Set a 6-minute walk from Pelourinho Historical Centre, Pousada e Hostel Pedacinho da Bahia is located in Salvador. Free Wi-Fi access is available. Each room here will provide you with a flat-screen TV and a minibar. Just 2 km from Jardim de Alah Beach, Sotero features a rooftop pool with sea views, a gym, sauna and bar. Buffet breakfast is served daily with freshly made tapioca and eggs. Wi-Fi is free. 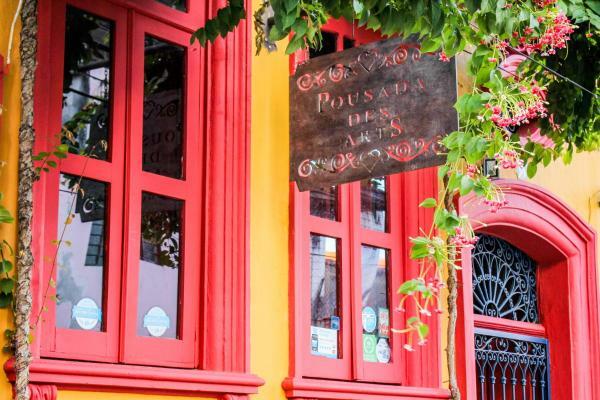 The Pousada des Arts is set in a beautiful building dating back to the 18th century and located in the historical center of Salvador, overlooking the scenic Baía de Todos os Santos Bay. Wi-Fi is available in the breakfast room and lobby. 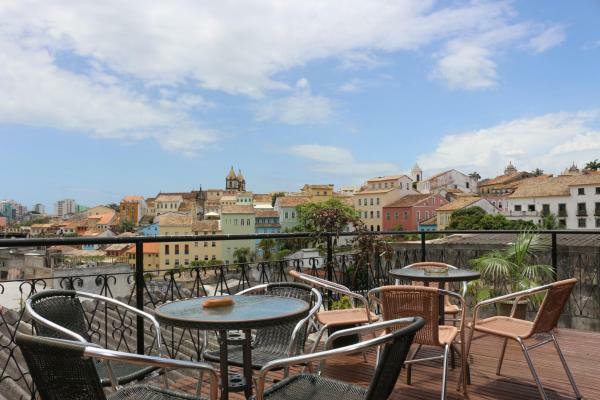 Set in Salvador´s historical Pelourinho district, Solar dos Romanos offers accommodation with cable TV and a minibar. Its terrace overlooks Baía de Todos os Santos Bay. Free Wi-Fi is available. 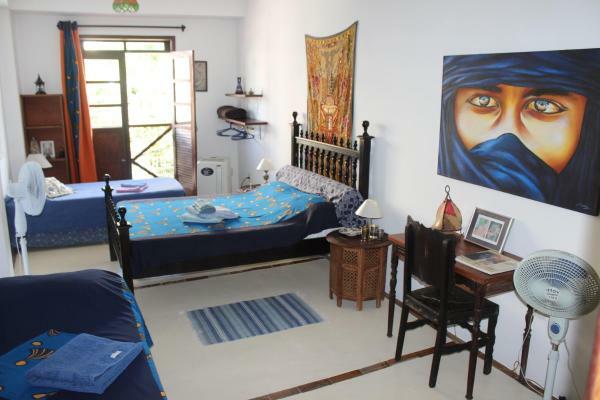 Pousada Esmeralda is located 700 metres from Pelourinho Historical District and 2.5 km from central Salvador. It features bright, spacious accommodation, as well as Wi-Fi throughout and a breakfast buffet. 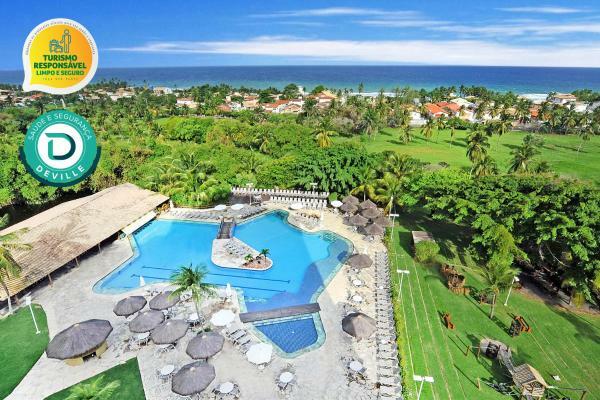 Featuring sea views, Mar Brasil Hotel offers suites with balconies and free Wi-Fi on peaceful Farol de Itapuã Beach. 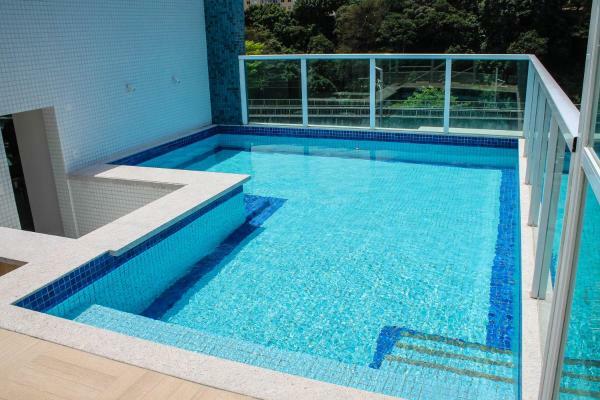 Its complete leisure facilities include a pool, massage service and charming garden with terrace. 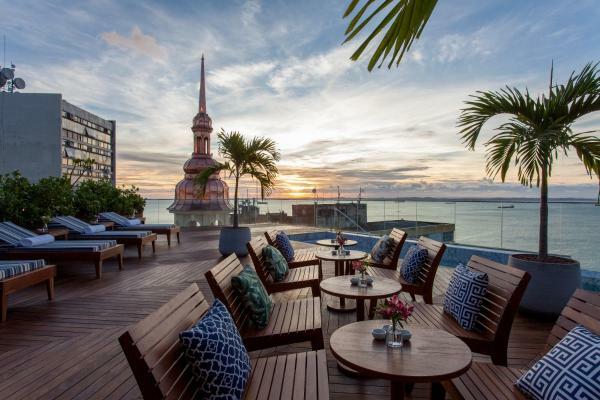 Fera Palace Hotel is located in Salvador, 200 metres from Lacerda Elevator and 300 metres from Mercado Modelo. Guests can enjoy the on-site bar. Free Wi-Fi is offered throughout the property and private parking is available on site. 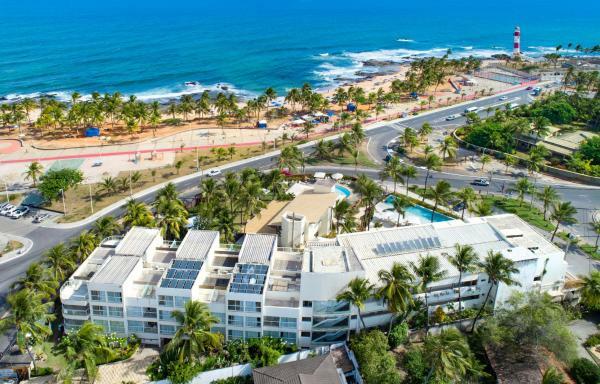 An 11-minute walk from Arena Fonte Nova, Aquarena Hotel is set in Salvador and offers free Wi-Fi and concierge services. Among the various facilities are a tennis court, a garden, as well as a shared lounge. 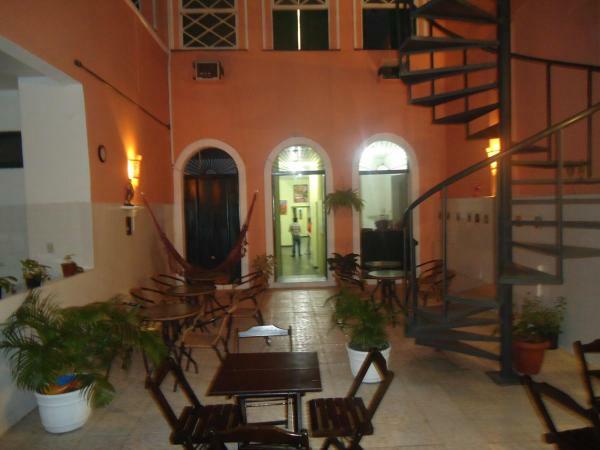 This is a small boutique hotel located next to the Praça da Sé, a popular square in the heart of Pelourinho. Public transportation and the Elevator Lacerda are a short walk away. Free Wi-Fi is available througout the property.